The Cupo Insurance Agency, an independent agent with independent means to find the right company to meet your specific needs. We are here to help you protect your life assets. It doesn't matter if it is personal or business, we at Cupo are committed to provide you with the best solutions for your Insurance Needs. 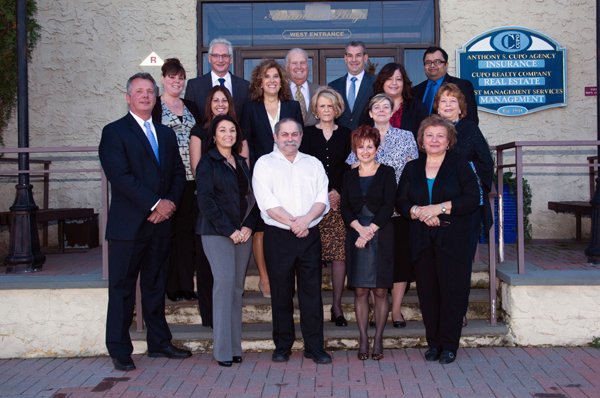 Cupo Insurance Agency has been providing insurance to the business community since 1941. As an independent agency we offer many different products from many different carriers. Our relationship with A rated insurance companies gives us the advantage to market your risk to the right carrier and tailor your insurance to match your specific needs. Cupo Insurance Agency represents some of the most reputable companies in the industry. From small home based business to large corporations, Our agency has the ability to match the right insurance to your business risks. Our experienced staff of insurance professionals will work with you to design a responsible protection program that best fits your budget while protecting your assets. We are constantly attending seminars and updating technology to better serve you. We are confident in our ability to service all your needs. We at CUPO INSURANCE strive to providing you with the excellence you deserve. We understand the necessity of having Insurance to protect your needs, those of your family and your business. Our goal is to provide you with the best possible coverage to suit your needs and fit your budget. We take our responsibility seriously and maintain the utmost amount of professionalism in earning your trust. Maintaining your business is our business. We work to minimize the exposure you have when a loss occurs. We review and advise you on additions and changes that may affect your personal and commercial insurance as your family situation changes and/or your business grows. Our mission is simply to provide the best service and insurance assistance to give you peace of mind with regard to the protection of your most important and valuable assets. We are here to service you. Don't hesitate to call us with questions and concerns. We look forward to speaking with you. Thanks for your business and the confidence you have placed in our staff and companies.